Real Madrid started 2015 the same way they finished 2014, with a painful defeat that ended a long run of victories. Los Blancos were unbeaten in La Liga since September, but Valencia broke that winning streak thanks to goals from Claudio Barragan and Nicolas Otamendi. The game was very intense from the start. 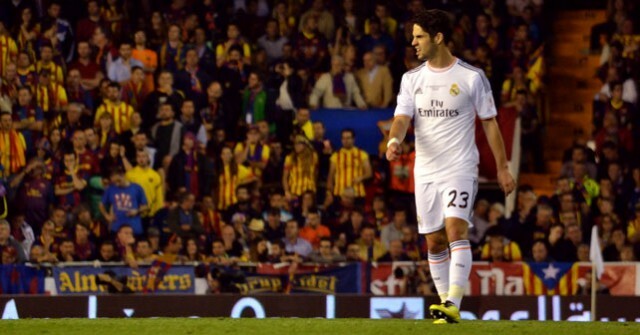 Valencia controlled possession at the beginning, but were unable to threaten Iker Casillas. 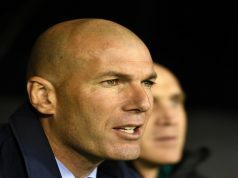 Before the 15-minute mark, Los Blancos were awarded a controversial penalty after a handball by Alvaro Negredo. Cristiano Ronaldo coolly converted to make it 0-1 for the visitors. Things became more difficult for the hosts after the goal, especially when Pablo Piatti suffered a muscle injury and had to be replaced by Jose Luis Gaya. Ronaldo had an incredible chance to score his second as he collected a pass from Gareth Bale and rounded the keeper, but his shot hit the side of the net. Real dominated the ball during the first half, but Valencia had the best chance before half-time as a shot from Andre Gomes deflected off Daniel Carvajal and hit the post. Valencia exerted a very high pressure at the start of the second half and they levelled soon thanks to a great play by Gaya. The young left-back assisted Antonio Barragan, whose shot cannoned off the foot of Pepe and ended in the back of the net. 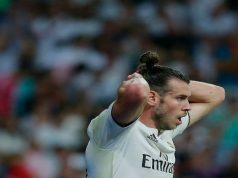 Los Merengues had a stunning chance as Gareth Bale raced clear of the Valencia defence, but he refused to assist Benzema and ended up losing the ball. In the following play, Valencia completed their comeback thanks to a superb header from Nicolas Otamendi, who met a cross from Daniel Parejo in a corner. 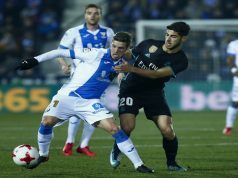 The hosts could have sealed the victory when Barragan had the goal at his mercy after receiving a pass from Andre Gomes, but he sent his shot wide of the far post. Ramos was close to savaging a point for Los Blancos as he received a cross from Toni Kroos and sent a powerful header to the bottom corner, but his effort dropped wide of the post.